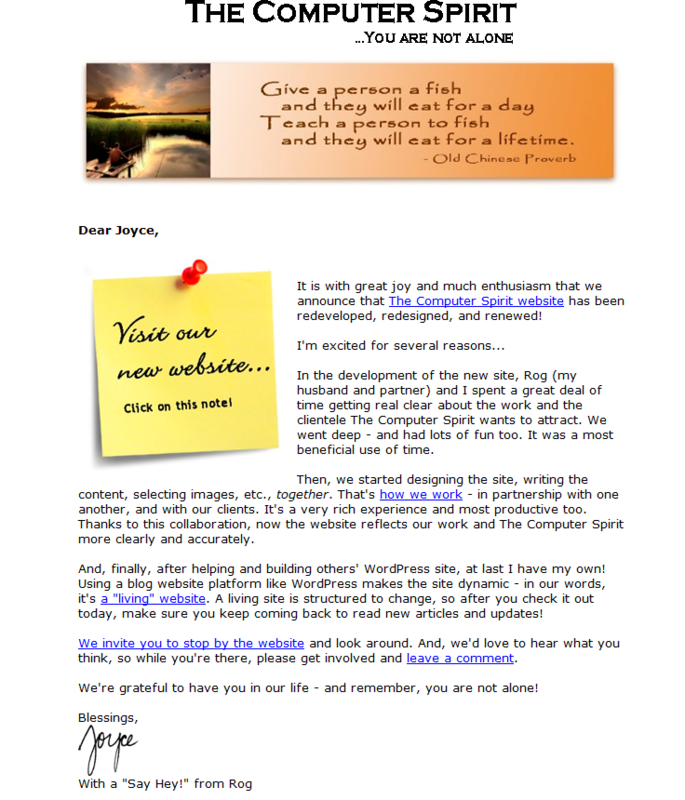 ← Joyce Kaye, The Computer Spirit, is back! 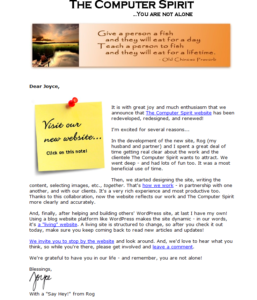 I’ve been creating and publishing newsletters for many moons… Of course, before the Internet, they were solely in hard copy form. 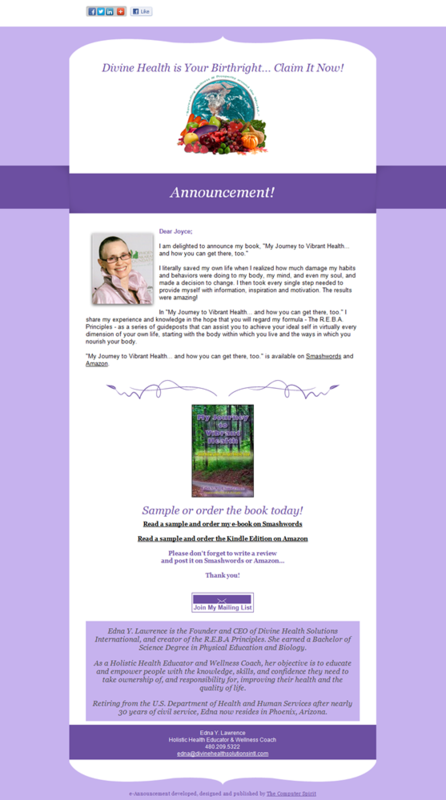 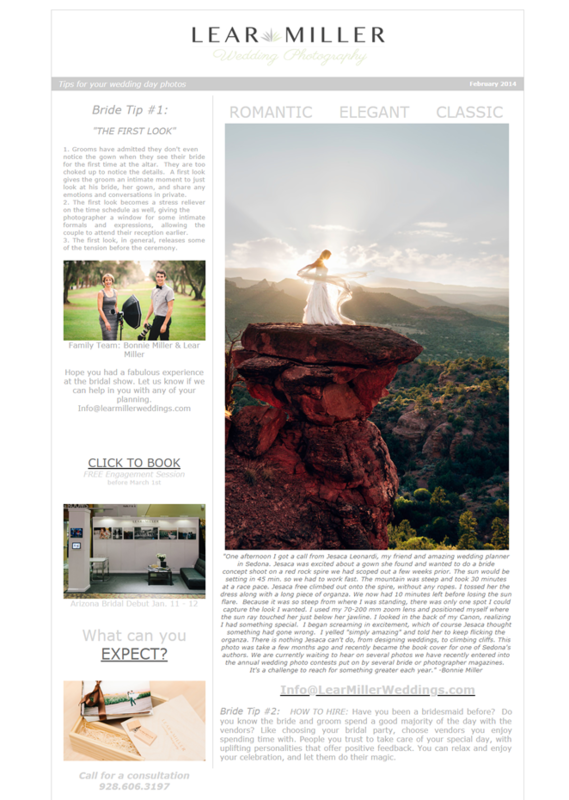 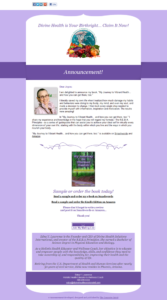 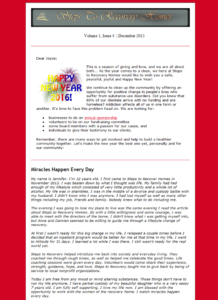 Between hard copy and electronic versions, which I’ve been creating for the last decade or so, I’ve developed hundreds of newsletters. 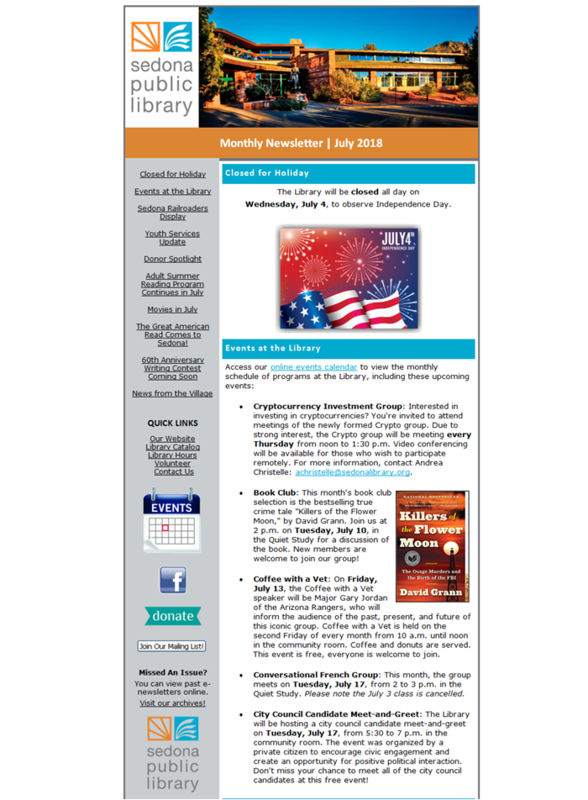 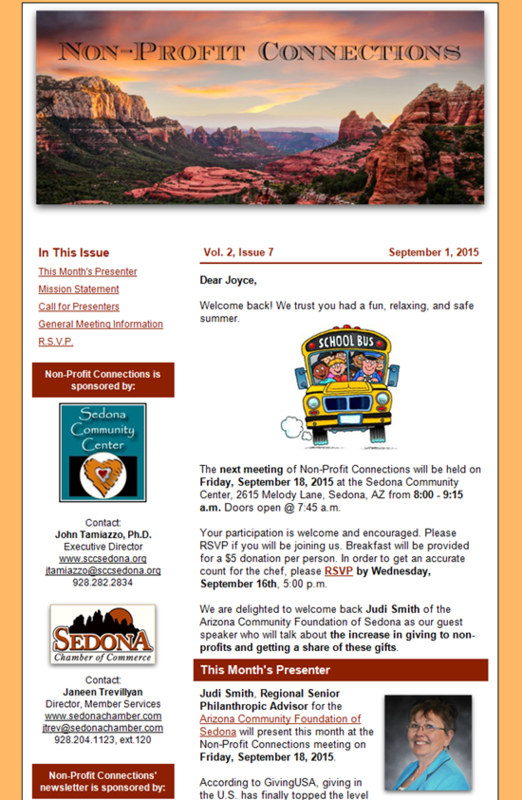 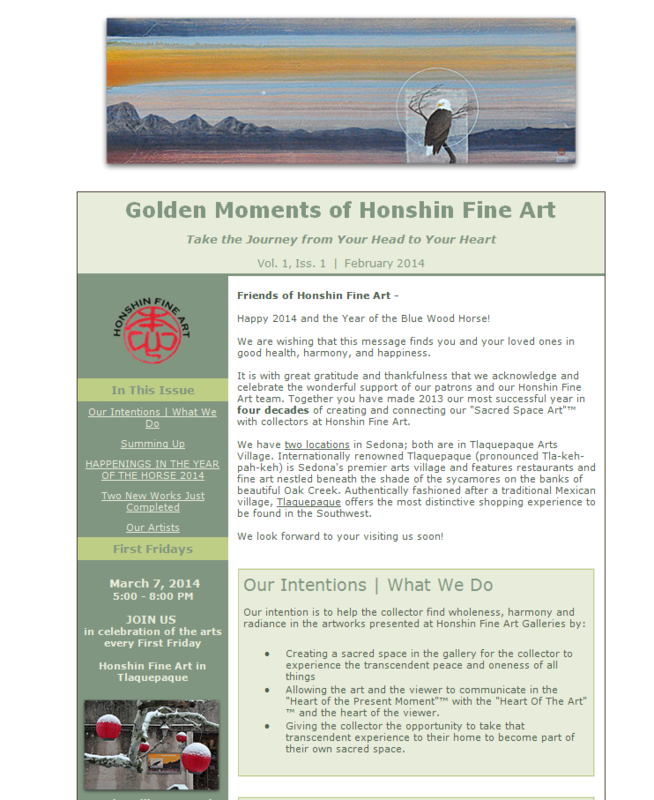 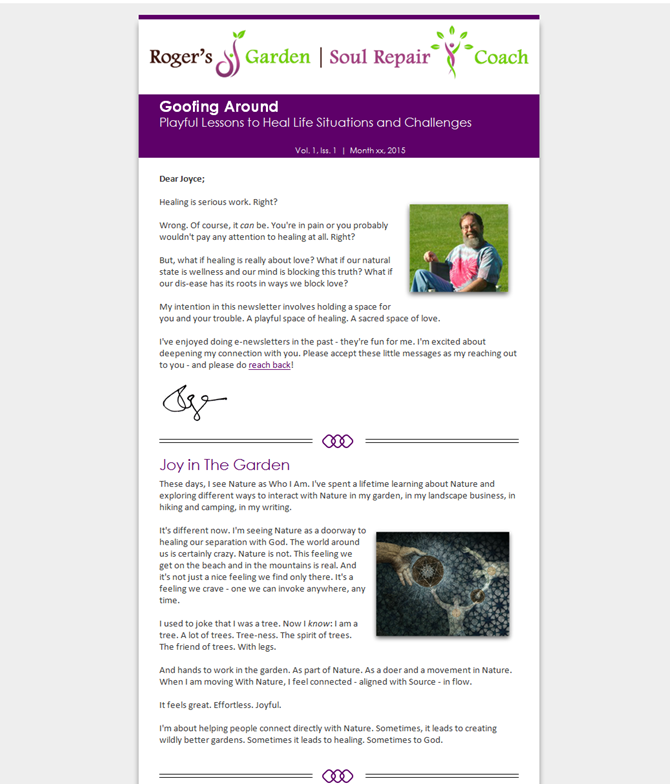 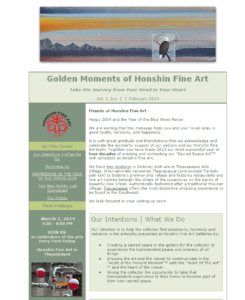 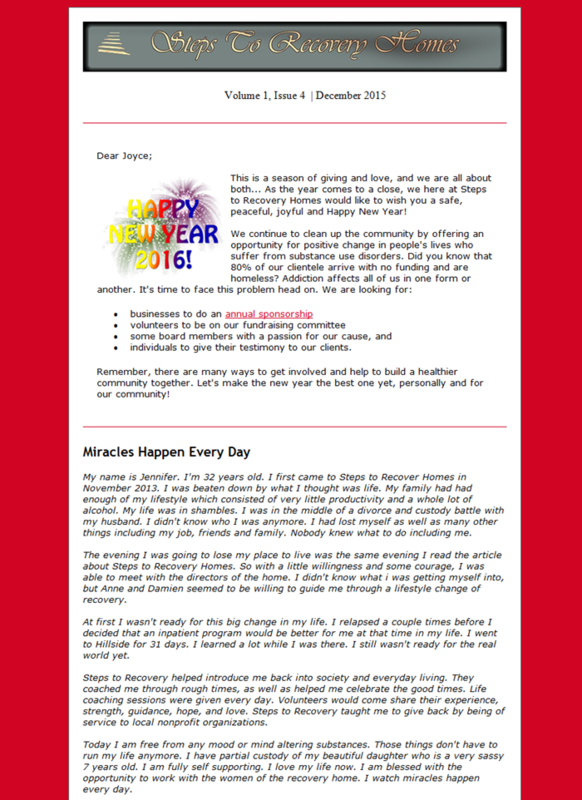 Below are some electronic newsletters (excerpts) for you to view. You’ll notice a wide variety of businesses and organizations, including a photographer, art gallery, coach, public library, non-profit networking group, and chiropractic and wellness center. 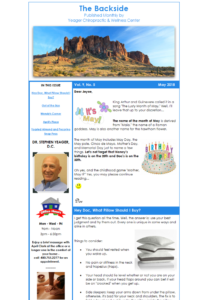 P. S. Don’t forget to check out The Computer Spirit’s own archive of e-newsletters!